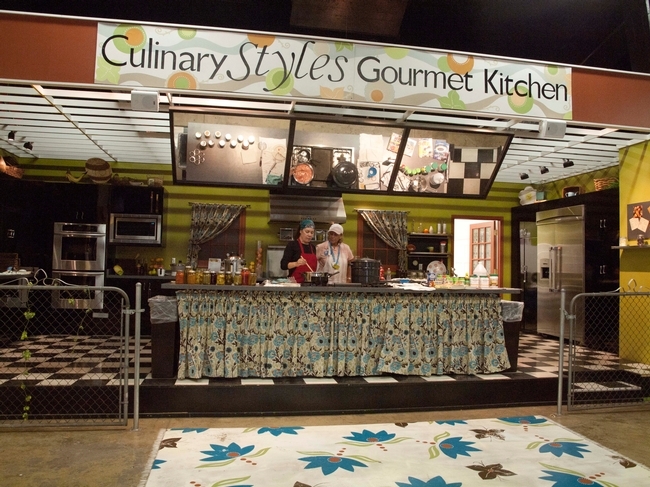 If you haven't already planned your visit to the LA County Fair, now's the time. 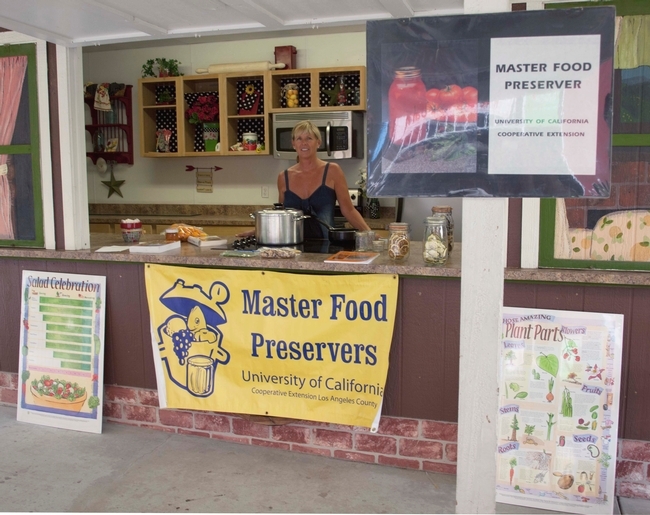 Master Food Preservers from Los Angeles County are on hand giving demonstrations and waiting to answer your questions about food preservation. On Wednesday, September 5th, Susan Nickels and Nancee Siebert got the ball rolling with a great introduction to the world of jam and jelly production (both with and without pectin). Volunteers from MFPLA will present demonstrations at the Culinary Styles Stage (under the racetrack grandstand) on Wednesdays and and Fridays, 9/5 - 9/28 from 12 to 3 pm. Topics include jams and jellies, the art of pickling and fermenting, and how to preserve tomatoes. In the Farm House Kitchen across from the Big Red Barn, MFPs including Liisa Primack (seen above) will be discussing dehydration and other methods of food preservation. 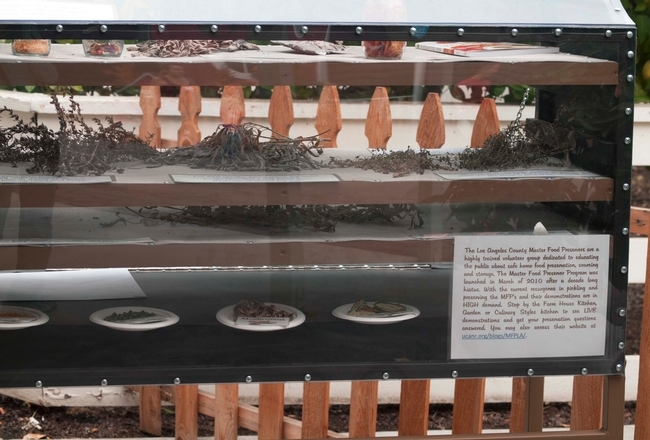 Come visit us from 9 am to 12 pm, Wednesdays through Fridays, 9/5- 9/28 and see Liisa's fantastic solar dehydrator.